Kabali with all necessary ingredients for a ‘Super Star’ film has come out well says relevant sources and it would meet the expectation of the fans. The team has almost completed the shoot with few patch work left. Now regarding the release the official sources confirm that the team is planning to release the film by 27th of May post Tamil Nadu state elections. A concept orientated poster is also expected to release some time soon that would reveal more about the story. 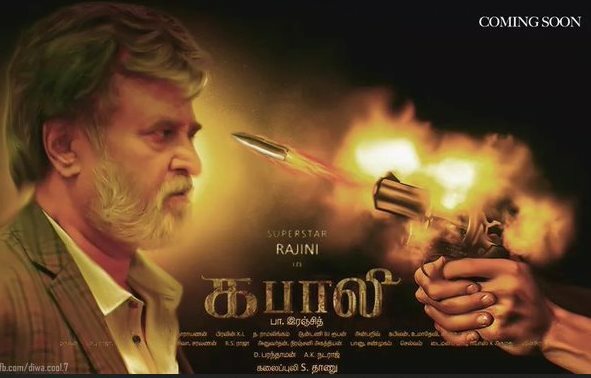 Kabali was wrapped up recently and the post-production is in full swing. The film is also being dubbed in Telugu and will be releasing along with the Tamil version. Directed by Pa Ranjith of Madras fame, Kabali also has Radhika Apte, Dhanshikaa, Attakathi Dinesh and John Vijay in pivotal roles. While Radhika Apte will play the role of Rajinikanth's wife, Dhanshikaa will be seen as a small-time gangster in the film. The music for Kabali is composed by Santhosh Narayanan, a frequenter in Ranjith's films.